Boat Transport Pros is a fully bonded and insured Boat Transportation Company. 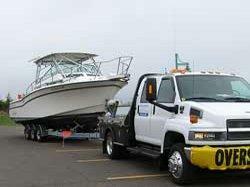 We have over 28 years of experience in the boat transportation service industry. We know that moving your vessel can be stressful. Our job is to make sure that your boat transport goes smoothly and is worry free. When you work with us, you are dealing with an experienced boat transport service. We have the right equipment and knowledge to get your boat safely to its new destination. 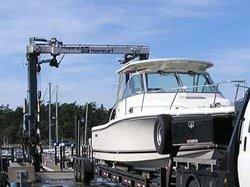 Choosing Boat Transport Pros as your boat transporters is the right decision! We are fully licensed and up to date on the requirements of each State and Federal DOT regulations for boat transportation. More importantly, we understand the planning needed to get your vessel moved from one place to another. Each state has it own rules that must be followed. The permits needed can vary from state to state. It can be a headache just trying to keep up with it all. With our boat transport service, your boat move is simple and easy, from pick up to delivery. You can ready your vessel for safe passage by looking over one of our many guides. They are full of tips and the basic steps needed to get your boat ready for travel. We have years of experience in the marine industry & boat transportation across the country and overseas. 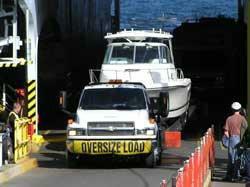 Trust your boat to a reliable and experienced Boat Transporters Company that moves any size boat anywhere. Please read the testimonials from our many satisfied customers. Let us handle the logistics and take the wheel … contact us for a free boat transport quote today! Boat Transport Pros built its reputation as safe boat transporters at affordable rates and is second to none in the boat transportation industry. You can rely on us to handle all the details as your boat transport company. The improvement of the US economy has caused a shortage of boat transporters with transport trailers large enough to handle yachts as well as sailboat trailers in high demand, making your needs to Transport a Boat needing to be planned well in advance. Especially for spring moves, it would be a timelier move if you can arrange your transport prior to April. I urge you to plan the move now if weather permits and arrangements can be made with the boat yard or marina for loading and unloading. However, smaller boat moves and tow N go transports can easily be handled in less time. We work with you from quote to unloading to provide you with exceptional service for your Boat Transporting needs. For your convenience please feel free to browse our site using the informative links at the bottom of the page to transport a boat. Call Boat Transport Pros Today!